Music has a soothing effect on us. To get excellent music experience you need a great speaker, don’t you? However these days you don't need one that breaks your bank. …and can easily throw in your bag and taken anywhere. Hence why; today I’ll be showing you a brief list of the Top 10 Best Portable Bluetooth Speakers under $100 that are absolutely under your budget and offer much more than what they’re priced at. …and JBL Clip is no exception to it. If you give priority to portability along with good audio quality, this is probably the Best Portable Bluetooth Speaker under $100 you can shell out your money on. It’s trivial in size so you won’t find it difficult to even drop in your pocket or small hand purse. This speaker has a carab﻿﻿ine﻿e﻿﻿﻿﻿﻿﻿﻿r allowing you to easily hook it up against your belt or backpack. One important feature that you should fail to notice is… JBL CLIP comes with built-in microphone. Hence, you can take a call without picking up your phone. Isn’t it awesome? Included 3.5mm headphone jack allows you to plug your headphone jack into the speaker, and you can now listen music via headphones; even while your smartphone is away charging. JBL Clip delivers robust and crystal clear audio while weighing at just 200 grams. Once the speaker is full charged, it provides battery life of upto 5 hours. "For small trips or for regular college use, JBL Clip happens to be an awesome product for everyday use. Since the size is so small, it can easily fit in your pocket and much easier is its price." Hence along with listening to music, you can also use the Braven 570 to charge your smartphone via the built-in power bank feature. The speaker comes in six different bright colors: White, Black, Blue, Red, Green and Purple. Hence you have the freedom to choose one that suits you best! The speaker and microphone are sealed inside the grilles on both sides of the module. Left panel sports an LED indicator, battery status button, USB port and an Aux output, whereas call answer button, power button, volume rocker, 3.5 mm Aux input and a micro USB port are on right side. You can even connect it with two and more Braven 570 Bluetooth Speakers to enjoy a deeper and louder sound. You’ll get ten hours of battery life while using this speaker to listen to music, however this time may reduce; if you use it to charge your smartphone. "With a length of 6.25 inches, height of 2.5 inches and width of 1.75 inches, it not the most portable speaker you can buy at this price point, however the sound quality that you get via these is much better than the smaller version of other portable speakers. It’s one of those speakers that produce loud sound even with such a small footprint." 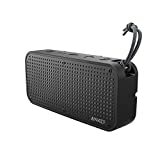 Before I go on about the product; let me put a disclaimer that this Bluetooth Speaker by Anker maybe portable in size but it isn’t when it comes to weight, as the Anker Soundcore Sport XL weighs almost 1.8 pounds. Hence only consider this one if you know what you’re looking for or aren’t going to move this speaker a lot. However most of the weight comes from its Waterproof, Dustproof and Shockproof abilities since it’s an IP67 certified Bluetooth Speaker from Anker. Compared to other speakers in our list of Best Bluetooth Speakers under $100, I’m not completely sold on the design on the of it. I mean, I get it that it’s a rugged Bluetooth Audio Device; however the designers at Anker should have worked a little more designing it a little better. However that’s just my opinion, yours can differ as well. Inside the rugged shell sits couple of 8W stereo drivers at front while the back features two passive subwoofers that puts off total power output of 16W. It features a 15 Hours of playback time and can be easily charged under 3 hours. You can also use this speaker to charge the dying battery of your smartphone as well. It comes with Bluetooth 4.1 connectivity that offers maximum performance at minimal power usage and Ankers claims at that it can offer connectivity upto 66 ft (20 meters). The claim is true in practical life, however you’ll notice loss of signal and delay in audio playback as well. Talking about the design it features a metal grille at the front and hard plastic covering over all. At the top you have 5 fairly large functionality button: Power, Volume Down, Play/Pause, Volume Up and Bluetooth Pairing. While the back features passive subwoofer with Anker logo on it and a protected section that houses a full USB port (for charging smartphone), Aux-in port and micro-USB port to charge this speaker. I am a big fan of Anker’s electronic products as they offer an elegant design at breakeven price. Its affordable Premium Portable Bluetooth Speaker under $100 isn’t an exception too. Before we talk about the speaker itself, let’s discuss what’s in the box. The package is very neat and easy to open. Inside you get the portable speaker itself along with a generic 3.5mm audio cable and micro USB charging cable, and that’s it. On first glance, you’ll surely be attracted to its design which is unique and happens to be in the shape of a rugby ball (American Football) with square ends. At front we have fabric covering, while the top has plastic glossy finish with inclusion of 4 buttons: Power On/Off, Play/Pause, Volume Up, and Volume Down. However the glossy finish is prone to attract fingerprints and dust. Coming to the speaker itself, the Anker A3143 offers a dual speaker setup with each speaker capable of producing 10W of sound output each. 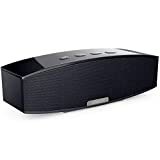 Sound quality however isn’t that of your regular sub $100 Bluetooth speaker, it is much better, with inclusion of two passive subwoofer at the back, these are cable of producing some serious low ends or bass. Rubber feet at bottom allows the speaker to not move or shake during heavy vibrations from within itself or from outside. Unlike other speakers in our list of best Bluetooth Speakers under $100, the Anker A3143 doesn’t comes with other bells and whistles like NFC support, water resistant or splash proof... however it does offer 8 hours of battery life at max which happens to be amazing considering its price sitting close to $50. Check out the full review of Anker A3143 by clicking and I believe if you buy this portable speaker you might be interested in owning a storage pouch, where the speaker will fit snugly. Sony is a brand synonym with budget audio and all the way to premium audio. One thing they didn’t have a big foot in was Portable Bluetooth Audio, until now. We did saw the launch of a small Bluetooth Speaker called the SRSBTV5, however it didn’t managed to ripple the waves. Currently the Portable Bluetooth Speaker segment is on the rise with launch of portable speakers so naturally, that’s when Sony decided to come up with its own range of Portable Bluetooth Speakers. Coming to S﻿RS X2, it’s nothing sort of extraordinary in terms of design or specifications. You get a small and compact; bar like Bluetooth Speaker with rounded sides, and sitting inside are two speakers capable of producing 10W sound output each, taking the total RMS to 20W. At the front you have a blacked out metal grill that gives it a very basic but tidy look. At the top you have several functional buttons like Volume Up and Down, Power Button, Sound Button, Bluetooth Pairing Button and Phone button that allows these Bluetooth Speaker to act as loudspeaker when you receive a call. At the back we have an Headphone Jack to connect your smartphone to the speaker via a 3.5mm audio cable, a reset switch and Charging port. 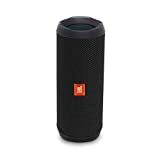 Other than the front speaker grill, all the other sides of this portable speaker has a rubberized matter finish that offers a good grip. If you look closely from the sides, the rubber feet at the bottom have slight upward elevation at front; which happens to be a subtle touch of elegance. Built quality is ideal and there’s nothing to complain about as you definitely get what you’ve paid for. Sound wise they happen to be just right, however its quality may differ depending on where you place these speakers. They’ll work if you place them towards the edge of your wooden cabinet or on bedside table; as wood offers better vibrations and proper sound acoustics. Successor to an already popular VAVA Voom 20, VAVA Voom 21 or popularly known as just VAVA Voom is an excellent piece of audio hardware. I mean what can I say? Just by looking at the brand I dismissed it as just a regular generic Chinese build Bluetooth speaker that is going to sound loud but without the musical details. VAVA Voom 21 is a marvellous piece of portable Bluetooth speaker that consists of 1x Subwoofer, 2x Tweeter and 2x Passive Radiators at the back. Design too on the Voom 21 isn’t cheap thrills. At just under $100 you get a cool looking modern Bluetooth speaker that can compete well with your regular desktop computers. Featuring an all black industrial design, nothing can really go wrong with its looks no matter who uses it. It features an aluminum mesh that singularly runs from the front to the back with no obstruction in between. The bottom base of this speaker is made with rubber and allows the VAVA Voom 21 to get good grip no matter where you place it. Its top features a slew of handy button: Power, Bluetooth, Calling, Equalizer, NFC Chip, Play/Pause, Volume Up, and Volume Down. Next to the power button, you get three indicator lights that notify about the remaining battery power. You can charge this 20W Bluetooth Speaker either with the provided wall charger under 3 hours or with a micro USB cable under 8 hours. VAVA Voom 21 also acts as a power bank and can charge your smartphone as well. One unique feature of Voom 21 is that you get an EQ button on the speaker itself. This allows you to switch from three EQ options (Classic, Party, Surround) on the go, with each EQ having a different notification tone before getting activated. It is one of the best 20W Portable Speakers under $100 that features a 5W Satellites each and 10W Subwoofer. ...Jabra Solemate is what started the entire Portable Bluetooth Speaker Revolution. 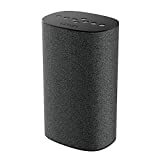 Though there were plenty of Bluetooth Speakers launched before 2012, Jabra Solemate is what made its existence valid by not only offering a small box that generates audio waves but also giving it a great look, sturdy built quality and plenty of connectivity options. Being a popular choice as a Portable Bluetooth Speaker, Jabra Solemate is offered in six different colors: Black, Blue, Grey, Red, White and Yellow. Built wise, it is the sturdiest Speaker in our list of Best Bluetooth Speakers under $100. You get a strong and thick rubberized base that will make the speakers stick to the table even when you’re playing songs with heavy bass. Even the top has a rubberized finish with three button included for volume up, down and Speaker phone. Left side has a Carry Strap while the right side holds place for Bluetooth Pairing and Battery Indicator. Beneath that we have Power On/Off toggle along with moving the speaker in Pairing Mode. Moreover it has 3.5mm audio in connector and charging port. Let me tell you now; what’s inside the box. The package contains a wall charger, along with USB cable, you also get a 3.5mm audio cable that easily sits under the rubber feet of Jabra Solemate (watch video) and sound bag that is sand and rain resistant allowing you to use the speaker while you’re on the beach or playing in the rain. Jabra Solemate is a proper 2.1 ch Portable Bluetooth Speaker [check review] system that offers two tweeters and one sub-woofer in the middle. This allows you to enjoy almost all of your songs with premium sound quality. 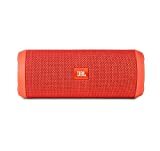 The third iteration of JBL’s Flip series retain the same design from its older brothers and is one of the most successfully selling Portable Bluetooth Speaker range. With its Soda Can like design, JBL Flip 3 is easy to hold and happens to be a strong contender under the $100 price range. Depending on your favorites, you have plenty of color choices from: Black, Blue, Orange, Pink, Red, Yellow, Grey and Teal. The newest iteration of JBL Flip now comes with a splash proof design. Inside the box you have this beautifully crafted Bluetooth speaker along with a USB cable and that’s it. Having a cylindrical design, the JBL Flip 3 surely gets extra brownie point when it comes to looks, also you get splash proof covering on the entire body. Talking about controls, you get 4 buttons on the fabric covering itself; that contains Bluetooth Pairing button, Volume buttons and call button. At the back, JBL Flip 3 has a plastic spine that holds the Power On/Off button, JBL Connect Button (for connecting multiple Flip 3 simultaneously), Indicator lights to notify about remaining power and further below you have aux connector and USB charging port hidden under rubber flap. At first glance the circle on left and right sides of JBL Flip may seem normal with inclusion of JBL’s branding. However these are two passive subwoofers; just like we’ve seen on Anker A3143 and happens to provide some serious bass. Inside the Flip 3 we have whopping 3000mAh battery that keeps it alive for 10 hours max on continuous play. However bigger battery increases charging time too, and hence you’ll find the Flip 3 take around 3 hours to get full charged, if charged via wall socket. The 4th iteration of JBL’s Flip series is as good as it can get. Unlike the previous version, this one is now 100% Waterproof, and you can even submerge it under water while using it. NOTE: Now you may wonder, why I've included the Flip 3, if Flip 4 is already there. Well to say the least, the Flip 3 is a very competent speaker at this very point too and can give many other similar price speakers a run for their money as well. This is definitely a great choice, if you plan on going to waterpark, the JBL Flip 4 will be your best buddy. Talking about portability, the Flip 4 is slightly heavy than the Flip 3, and weighs in at 515 grams, which is quite heavy by portability standards, however if you’re concerned with the sound, then surely this IPX7 certified speaker won’t disappoint. Available in 6 colors: Black, Blue, Grey, Red, Teal and White, you’re spoiled for choice and get your favorite color to match with things you already own. It features two drivers inside, each of them capable of outputting 8W sound output that takes the total sound output to 16W. Moreover it includes 2x 40mm external Passive Radiators that allows proper flow of air and to be honest are very cool to look at too when they rumble while playing songs. The JBL Flip 4 can easily connect with 2 smartphones at once and play music from either of them easily. Besides that it includes a 3000 mAh battery inside, capable of powering the device for 12 hours continuously at moderate volume. USP of the Flip 4 is its JBL’s Connect+ technology that enables this Bluetooth speaker to be paired with up to 100 different Bluetooth devices featuring the Connect+ technology. This surely will bring life to the party and also Cops on your doors as well. Creative is an innately popular audio company that I’m sure everyone must have heard of. The Sound Blaster Roar is Creative’s take on Best Wireless Speakers under $100 that boasts of a pretty basic but practical design. Before I talk about the Roar, let me mention there’s Roar 2 available as well for price under $200, incase you want to buy the updated speaker. Available only in Black, the Sound Blaster Roar is bigger than few speakers in our list and weighs a slight over 1kgs, which is pretty heavy for a budget Bluetooth speaker. SMALLER, LIGHTER, SEXIER & SWEETER. Never has a speaker so small sounded this awesome! The 5-driver system, built-in 6,000 mAh Li-ion battery, and a host of killer features - all tightly packed into a 20% smaller enclosure that sits on your palm. MULTIPLE WAYS TO PLAY YOUR AUDIO. Simply pair your devices wirelessly via Bluetooth or NFC, or via a wired connection from USB or AUX-in. You can even store your songs in a micro SD card and play them directly out of the speaker. DUAL ORIENTATION MODE. Lay the speaker flat for room-filling and balanced audio or prop it up for louder and more directed audio. Also supports HD wireless audio codecs - apt and AAC that deliver high quality audio for Bluetooth transmission. Dimension wise, the Roar is 8-inch long, 2.2-inch high and 4.5-inch deep, and can be easily kept on a desk or bookshelf. For the size and weight, the Creative Sound Blaster Roar gets really loud and is enough to fill a big room with loud music. Two drivers at the sides handle bass department, two at front for producing highs/treble, and one driver at top is meant for producing tight mids. What sets the Roar apart from other speakers is the ‘Roar’ button that sits on top of the speaker. Since most speakers either produce a loud sound whereas other produce balanced sound. Creative Roar can produce both kind of sound at the touch of a button. Hence why when you need loud sound during a house party, you can press the ‘Roar’ button on top and experience a loud sound, whereas for singular listening you can disable that feature for a balanced and distortion free sound. There’s also a omni-direction microphone inside that can record voice onto microSD card and works while answering calls wirelessly. To be honest, I feel Creative is selling the Roar at a price much less than it really should be. Talking about the design, it isn’t eye catching, nor is it bland looking as well. The metal build gives it a very rigid and durable look-and-feel compared to other plastic built speakers in our list. The front of the speaker boasts Creative’s logo, while the top features various buttons like Volume Up/Down, Bluetooth Speakerphone, ‘Roar’ button, Power button along with NFC tap. The backside too is filled with number of connectivity options: There’s a charging port, Aux in, DC out, micro USB port, microSD support, Audio recording buttons, music play/pause, forward, backward to control music played via SD card. Moreover you can use the internal 6000 mAH battery of Roar to charge your smartphone or tablet too. Here comes another budget beast, Mini Boom Wireless Speaker from Logitech. Logitech has been producing computer accessories for a while now. It has got a massive user base. I really like the form factor, though it’s very common to most of the speakers out there. The availability in different colors makes it looks cool. On top of the device, it has volume rocker buttons; along with a large pairing button. The back has a power button, LED notification, Aux-in, 3.5 mm headphone jack and a micro-USB charging port. It can be paired up with another BOOM speaker to deliver stereo sound. The Bluetooth range is about 50 feet. You can use this as a speaker phone too. Logitech has built an app exclusively for BOOM speakers, which can be used to switch between different EQ profiles and pair with two or more speakers. The battery is powerful enough to give you ten hours of juice. I think you wouldn’t ask for more. "For the price it sits at, you can’t find another speaker that can outperform MINI BOOM both in terms of Audio Quality and Design."